Offering a tantalizing tropical escape, Wyndham Sea Gardens is a luxurious high-rise tower sweetly situated on Pompano Beach, one of Florida’s loveliest seaside destinations, where miles of sugary white sand stretch along surf-fringed azure waters. Conveniently located between Palm Beach and Miami, Pompano Beach is known for its fine fishing, excellent boating and plentiful parks. Play on the beach, dangle a line off the 1,000-foot-long municipal fishing pier, sample some super cuisine, and then head back to your gorgeous Wyndham Sea Gardens accommodations to float in the pool, squeeze in a workout or wind down with friends in the club house bar. 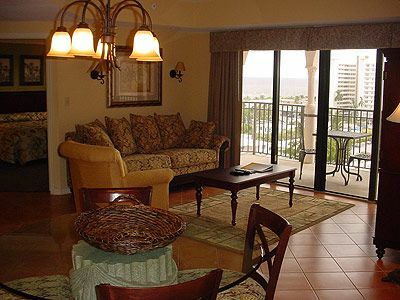 Wyndham Sea Gardens offers astonishing value as either a vacation rental or a timeshare purchase on the resale market, where bargains abound. Loaded with amenities and plenty of entertainment for the whole family, a Wyndham timeshare is an incredible value for families and couples looking for that perfect tropical getaway. Airy accommodations come in studio, one- or two-bedroom configurations, and all boast dazzling views of the courtyard, garden beach, ocean or Intracoastal Waterway through oversize windows. Fully-equipped kitchenette includes stove with oven, refrigerator, dishwasher and microwave, while living spaces have multiple televisions, cable service, and complimentary wireless internet. Many rooms boast balconies with incredible views, while most one- and two-bedroom units have luxurious whirlpool tubs. A stay in a Wyndham Sea Gardens timeshare confers a host of incredible recreational, dining and entertainment opportunities. With four outdoor swimming pools, three outdoor hot tubs, a lively pool bar, seven tennis courts and convenient beach access, guests never need to leave the premises to experience the best of Pompano Beach. Kids love the arcade/game room, cool “Get Out and Play” program activities and special children’s pool, while adventure loving grown-ups can windsurf, parasail, jet ski, snorkel or SCUBA dive. Lots of lively organized activities for guests of all ages mean there’s plenty of ways to make new friends and have fun with current ones. As part of your stay, enjoy discounted tickets to sporting events, local attractions and dinner shows, as well as discounted spa packages, golf fees and rental cars. The Pompano Beach area brims with fun for couples or for the whole family. From every imaginable water sport to museums, theaters, art galleries and golf courses, there’s never a dull moment in this vacation paradise. Try your luck at the game tables or bet on your favorite horse at Isle Casino and Racing at Pompano Park, where you can enjoy slot machines, poker tables, four restaurants and a high-tech sports bar and wagering center overlooking the racetrack. Golfing fanatics can sample the area’s 22 golf courses, while shoppers love to browse the charming beachside shops and boutiques. From dinner cruises to Everglades tours and fishing charters, it’s always a good time to head out on the water, and the Pompano Beach area boasts numerous SCUBA centers offering instruction, certification classes and guided daily dive trips. Contact Wyndham Sea Gardens Specialist Today!